A vegetarian tandoor dish of Paneer (cottage cheese) marinated in Indian spices and grilled with vegetables. Cut capsicum, tomato and onions in equal sized square chunks. Grind ginger, garlic and green chillies in a food processor to form smooth paste. In a large bowl, mix the above paste with paneer, capsicum, onions, tomato, lemon juice, black pepper powder, yogurt, garam masala, chilli powder, cumin powder, carom seeds, turmeric powder, besan and oil. Season with Salt. Coat all paneer cubes and vegetables properly. 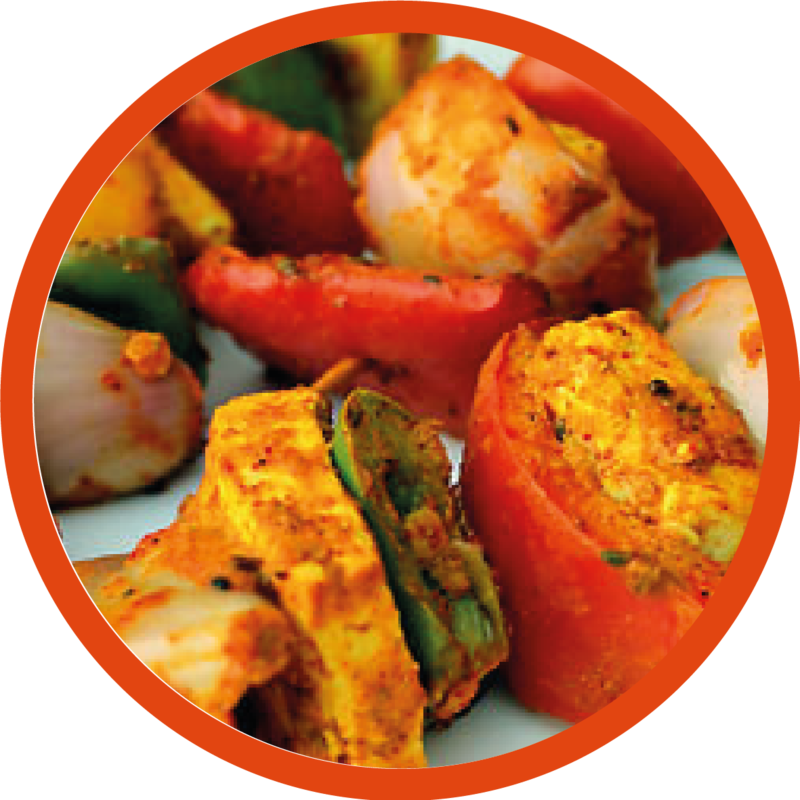 Thread paneer and vegetable pieces onto skewers, alternating paneer and vegetables. 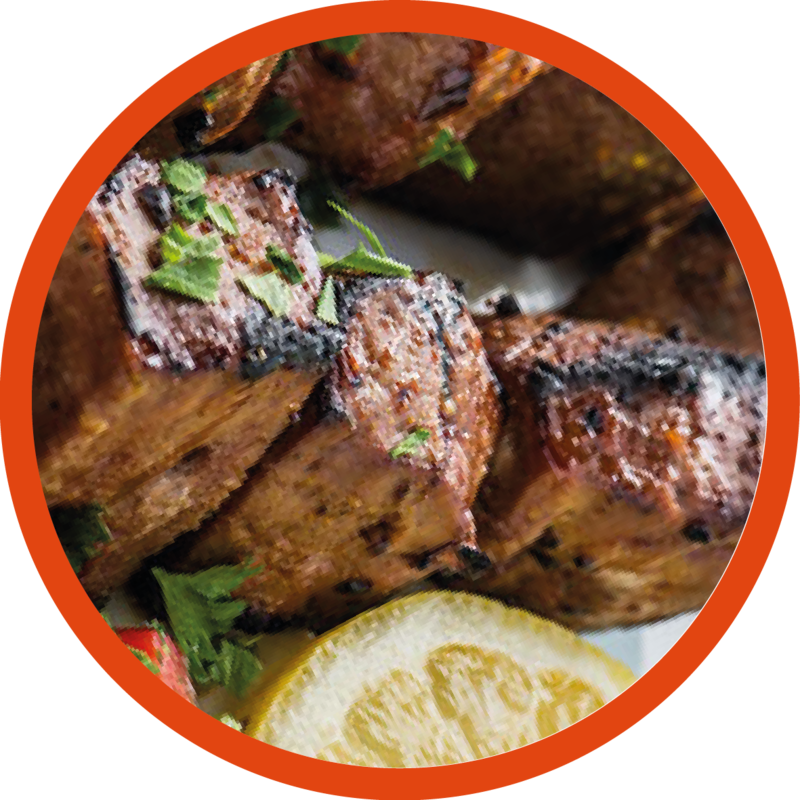 Cook these skewers on the barbecue or under the grill for 8-10 minutes, turning frequently to ensure even cooking. Cook until paneer is light brown in colour from all sides. Before serving sprinkle coriander and serve hot with onions and green sauce. 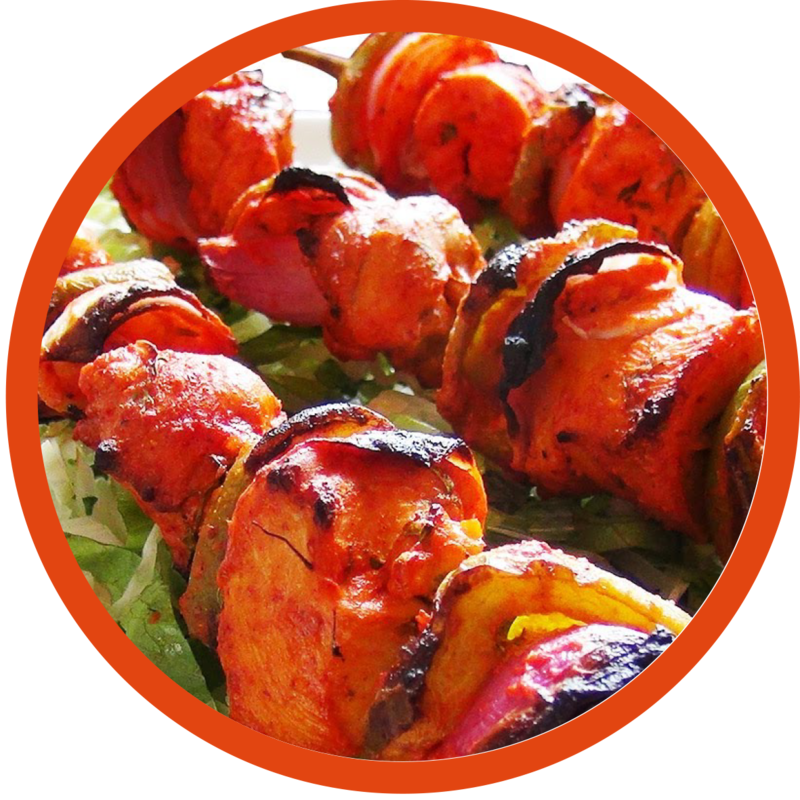 The world famous takeaway kebabs marinated in yoghurt and spices and grilled in oven or barbeque. Cut chicken breast into medium sized pieces. In a large bowl, mix lemon juice, cumin powder, coriander powder, red chilli powder, turmeric powder, yoghurt, garlic paste and ginger paste. Then add chicken and coat all chicken pieces well. Cover the bowl with cling film and leave to Marinate in refrigerator for 3-4 hours. Preheat grill. Thread kebabs onto skewers with red pepper, green pepper and onion pieces in between. Drizzle some oil overs kebabs and grill for 15 minutes. Keep turning in between and brush with butter on both sides to retain moisture. Cook until chicken is cooked through and is charred a bit all over. Serve hot with raw onions, tomato slices and yoghurt chilli chutney/ sauce.